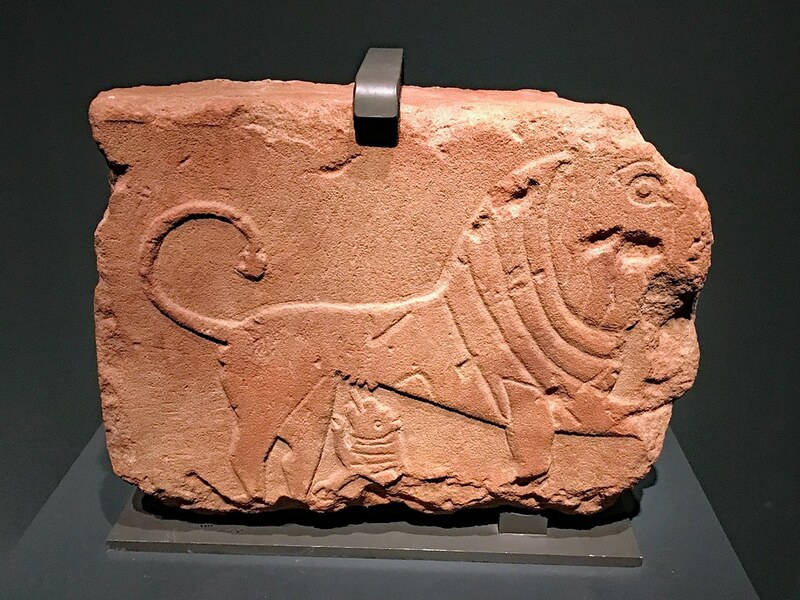 We’re wandering through the National Museum of Korea this week and specifically the special exhibition Roads of Arabia-the Archaeological Treasures of Saudi Arabia containing 486 archeological artifacts and objects. 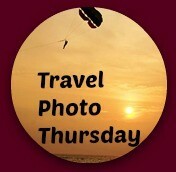 Welcome to week 330 (6/1/2017) of Travel Photo Thursday. The museum is very easy to get to, and I recommend you take the subway. 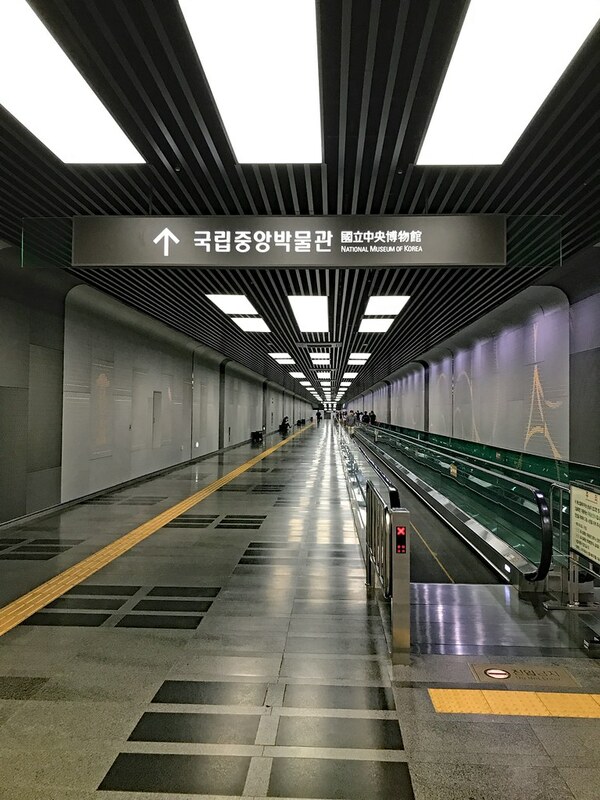 Take Line 4 (blue line) to Ichon Station and follow the signs “National Museum of Korea.” You’ll walk down this long hallway with the moving sidewalk with holographs of the museum’s holdings and them up the escalator to a large pedestrian area. It’s not particularly colorful, but the fluffy white clouds and the greenery do make the scene more attractive. In the second photo here you can see the museum off the distance. 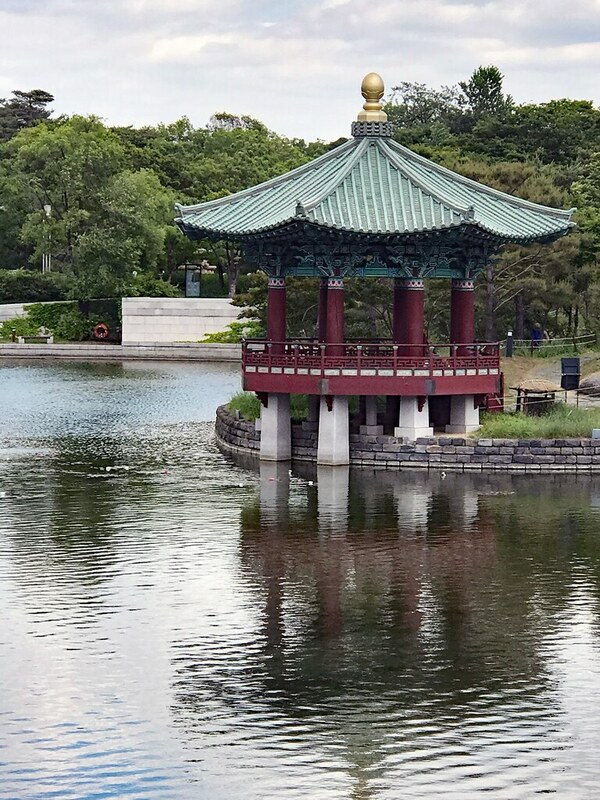 Visitors can wander straight to the flower lined stairway leading up to the exhibit, or veer right to admire the lake and the Korean pagoda. I made a photo stop at the Pagoda before heading up the stairs. This is a pretty spot for a picnic lunch. I always feel tiny when I walk into the main courtyard of the National Museum of Korea. I think this photo provides a perfect perspective. Everyone looks so small. 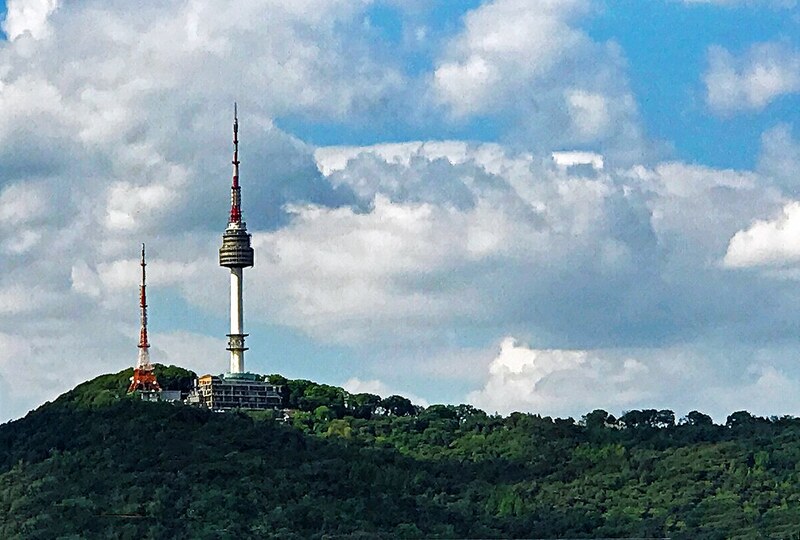 Looking straight ahead is a perfect view of Seoul’s Namsan Tower. Special exhibitions are to the left. 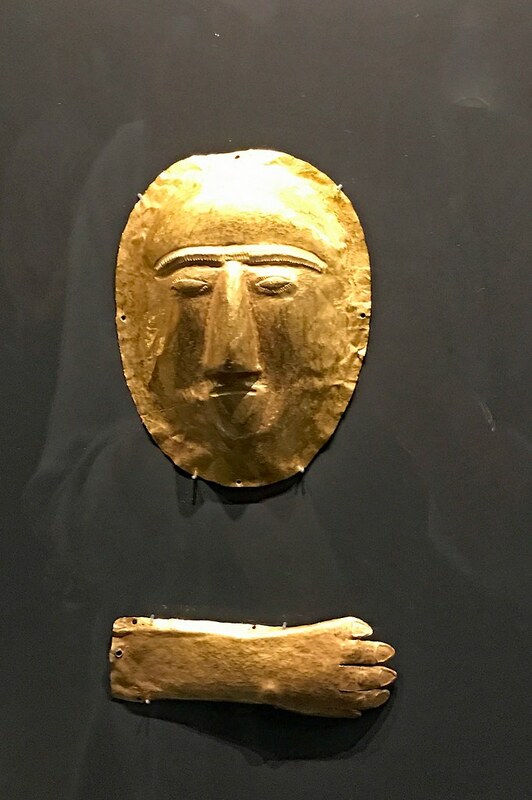 From the Korea National Museum Website. 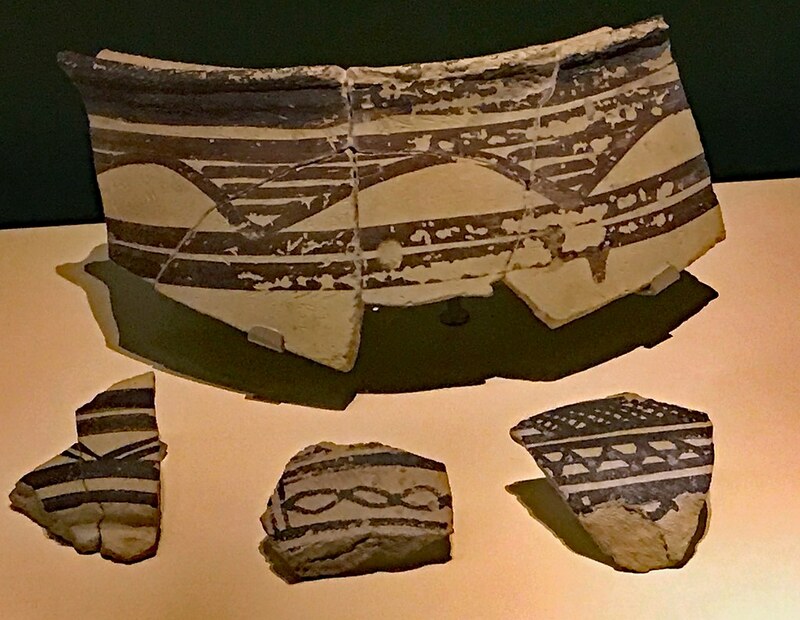 Roads of Arabia-the Archaeological Treasures of Saudi Arabia is the first large-scale survey of the history and culture of Arabian peninsula in Korea. 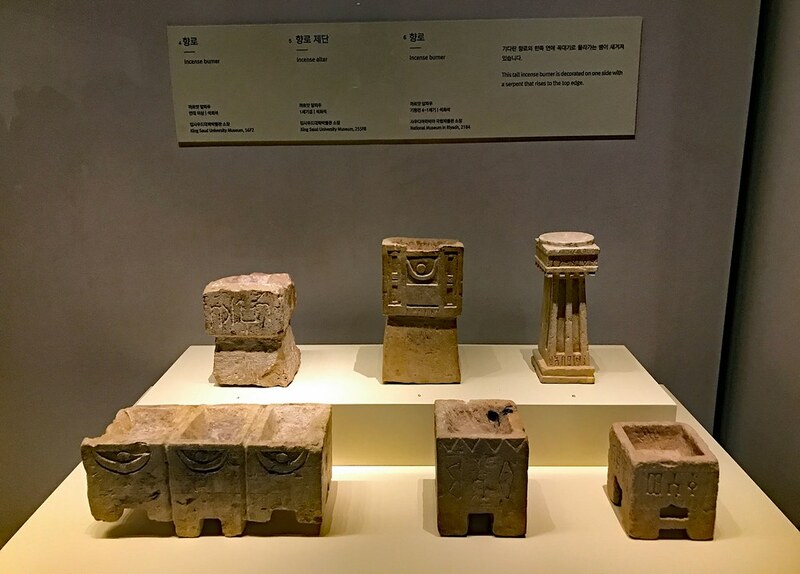 Tracing ancient incense trade routes and early-Islamic pilgrimage roads that once spanned the peninsula, 466 objects ranging from human-shaped steles dating back the 4th Millennium BC to gilded doors that once graced the entrance to the Ka’ba at Mecca will be displayed. 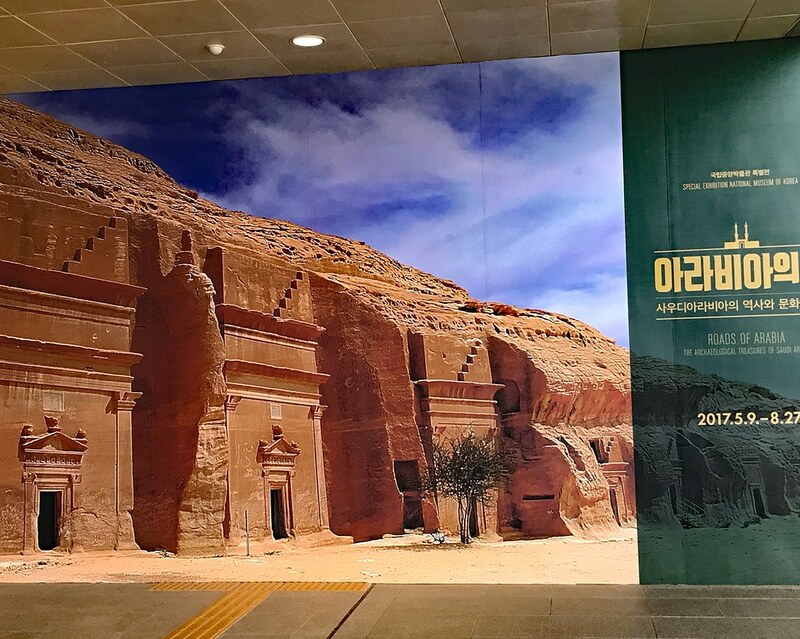 Roads of Arabia, organized by the National Museum of Korea and the Saudi Commission for Tourism and National Heritage of the Kingdom of Saudi Arabia, will be the great opportunity to open our eyes to the largely unknown ancient past of the Kingdom of Saudi Arabia. There were audio guides available but not in English. Listening to the history of the artifacts and where they were found is always fascinating, so I was a bit disappointed. Thankfully, there were many well-written descriptions in English. There were also monitors scattered throughout the exhibit showing clips from various archeological digs, and although the sound was very low, they were also in English (Korean subtitles). I had my ear pressed against the glass of each monitor to hear what was being said, and I did receive a few weird looks!  (Crazy white-haired foreign lady strikes again!) Photos were also permitted, no flash. Here is a selection of my favorite artifacts on exhibit. Look at these gorgeous incense burners. Finally, my favorite piece of pottery from the many on display. 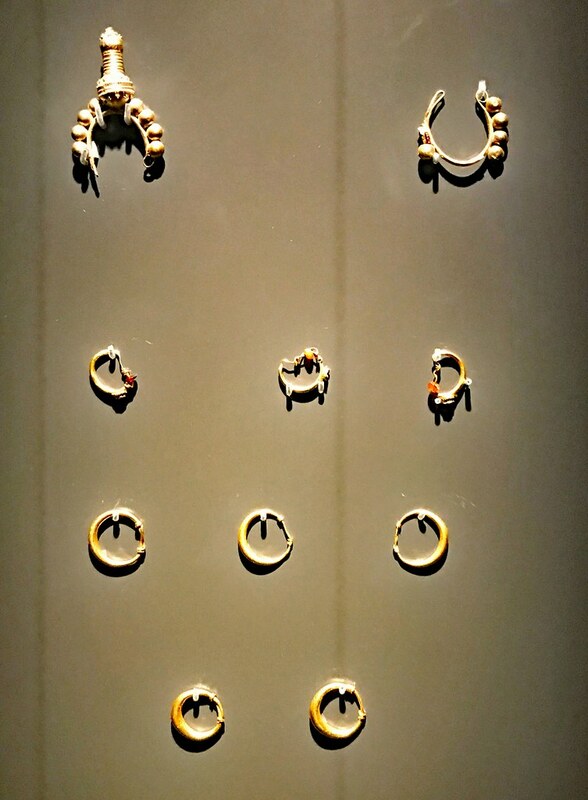 I thoroughly enjoyed this exhibit of Saudi Arabian artifacts. Many are similar to what I saw during my days trolling the Egyptian Museum in Cairo. If you’ve been to the Egyptian Museum, you know what I mean. 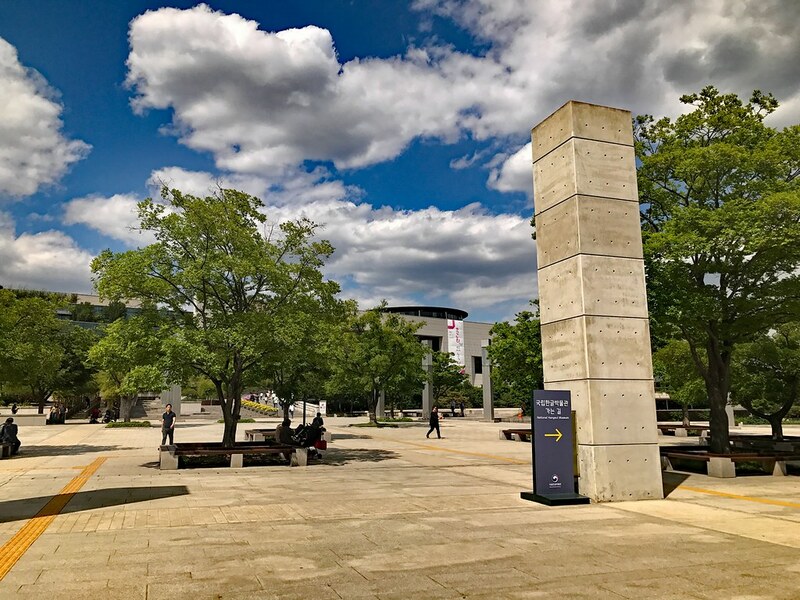 Have you visited the National Museum of Korea? Let us know in the comments. The museum is open every day of the year except January 1. As mentioned above, the easiest way to get there is on the subway (line 4 and follow the signs). Admission to the permanent collection (which is worth a visit) is free. Do not miss their Celadon collection. There is an entrance fee for special exhibitions. I paid 6,000W for this exhibit. My kind of place to visit! Hi, Jackie! 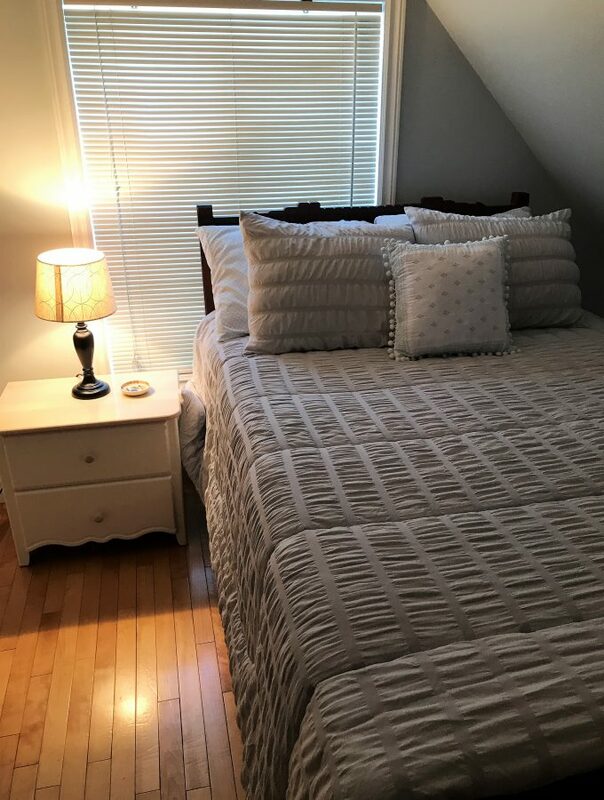 I’m sure you would love it. The permanent collection has some real gems, too. 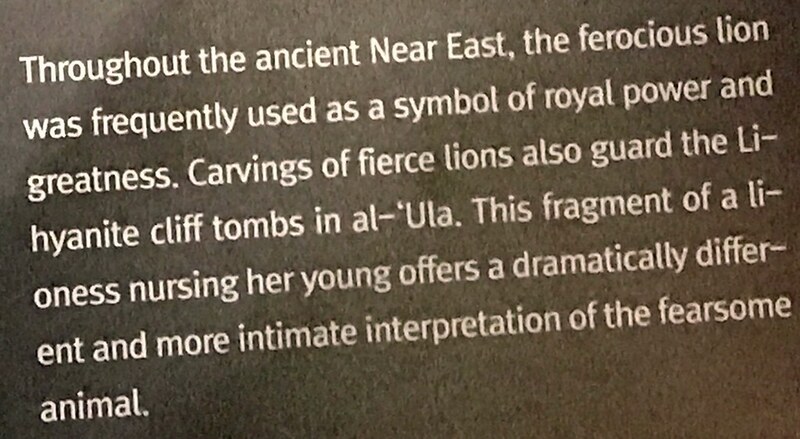 I’m definitely giving my daughter the link for this – I don’t believe she’s done this museum yet and I know she would love it! 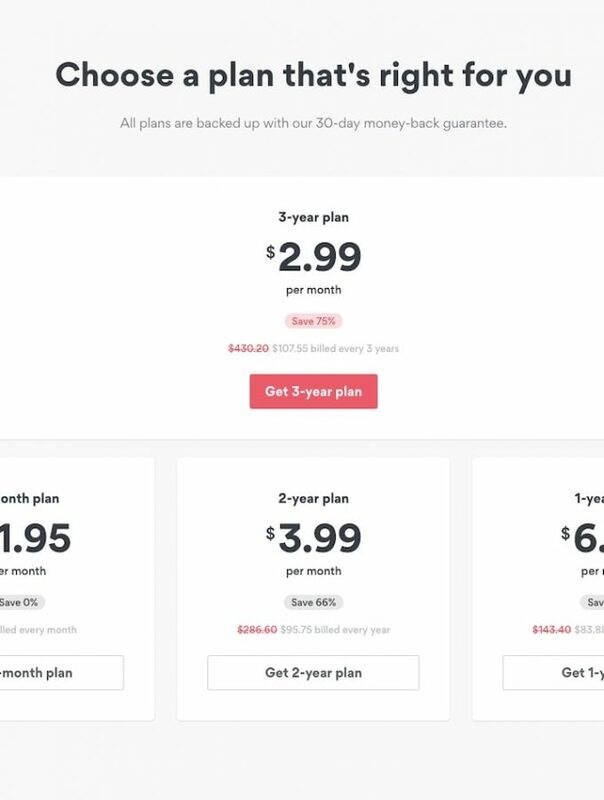 Looks very cool. Hi, Jill. It really is a great museum and the permanent collection is worth seeing. Exhibitions like these are fascinating to me! I know it would be very difficult for me to visit some of the places presented on those. Therefore, it is my way of appreciating what is located on those countries. Yes, it is a bummer no audio was available in English. At least, there were write-ups in the language. Very interesting! Hi, Ruth. I was anxious to see this exhibit because I am doubtful that I’ll ever get to Saudi Arabia. They have such a rich history. I Love exhibitions like this. 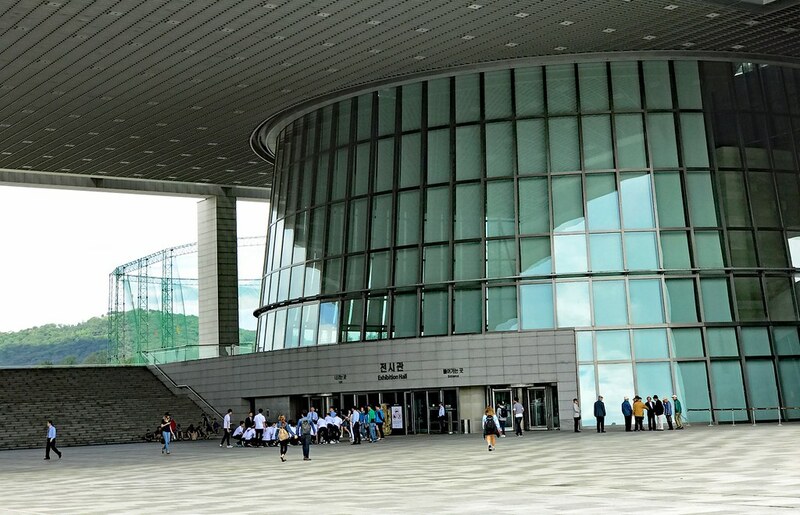 The National Museum of Korea itself looks like it’s worth visiting just for the architecture! You say this is partly sponsored by the Saudis: do you suppose it’s likely that Koreans will be encouraged to visit Saudi Arabia because of this exhibition? Hi Rachel. I don’t know if Saudi would be a place that would interest the Koreans. This exhibit was to celebrate 50 years of diplomatic relations between the two countries. I can’t see the average Korean embracing this part of the world, but that’s just my guess. That courtyard would make me feel like an ant. Very impressive. I’m with you Jan. I always smile because I remember the old National Museum and it was a hole in a wall compared to this one. 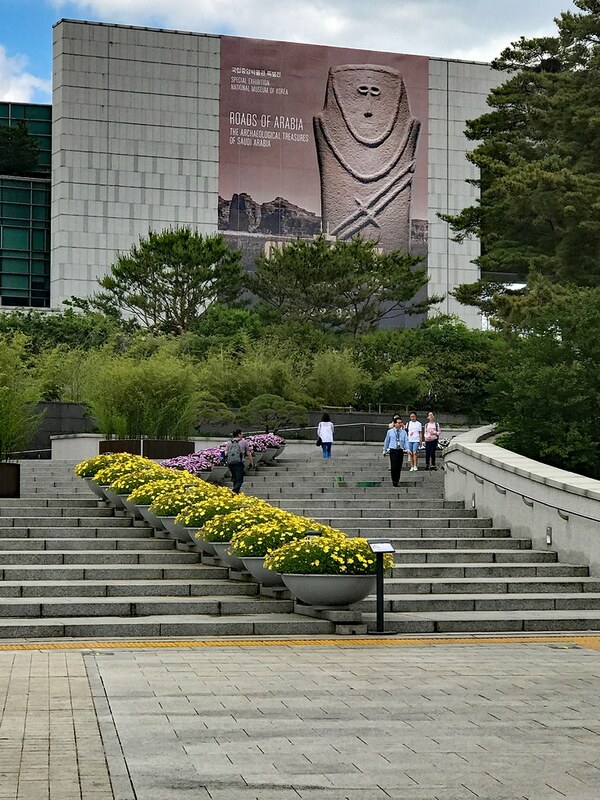 Museums are some of my favorite places to visit and it looks like the Korean National Museum offers many winning exhibitions. I can certainly see why you might feel “tiny” when walking in the vast courtyard but I’ll bet that feeling disappeared as soon as you dove into the Saudi exhibit. I know so little about this region of the world that I’m sure I would have found the artifacts to be fascinating. It’s too bad the audio wasn’t offered in English but at least the accompany cards to the exhibits were translated. It’s always so interesting to see some of the everyday treasures of a long ago people!